Don't feel bad that Stella only has 2 votes in the beauty contest. You know how the producers of The Bachelor use the loser as the next Bachelor or Bachelorette? 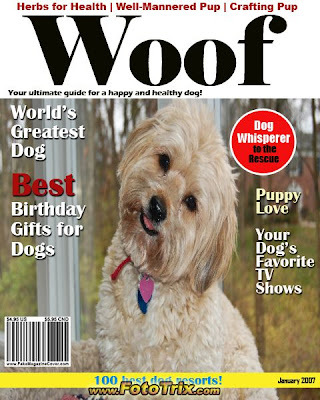 Because Stella got so few votes, she was asked to be on the cover of WOOF Magazine...sort of a consolation prize. So now she's basking in all the glory. Hey, sometimes it pays to be a loser. She sure is cute, though, eh? 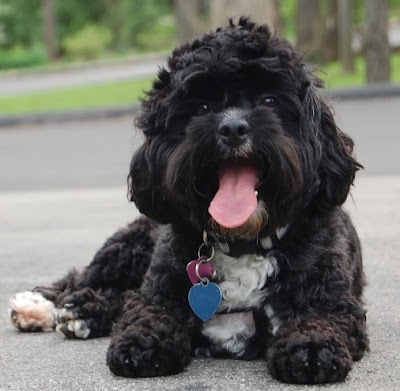 There's still time to vote for K...um, I mean, for the dog you think is the cutest one of all (KC, KC, KC...). You have until February 21st so Click here. Be sure to scroll down to the "Best Dog" category where KC is in 2nd place!! She only needs a few more votes to win. Stella's already a loser cover star anyway, so vote for KC.